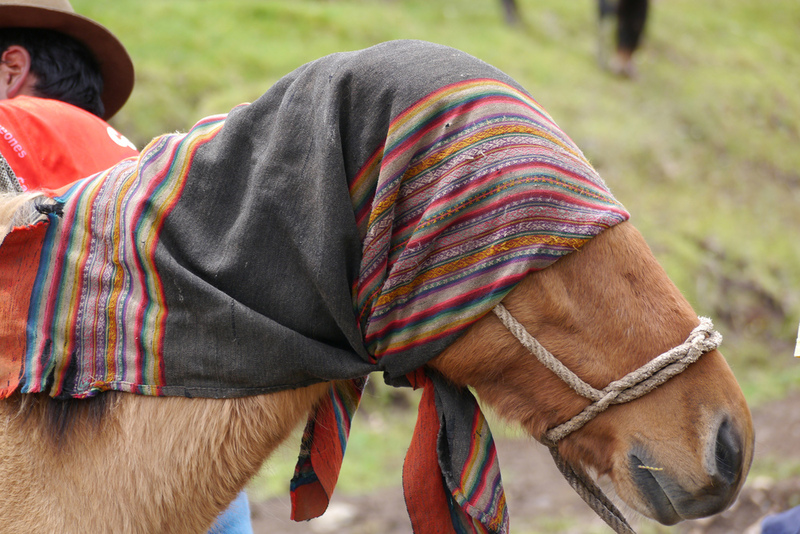 Mission: Hike 7 hours into the Andes and improve a school in the remote village of Ccocha. 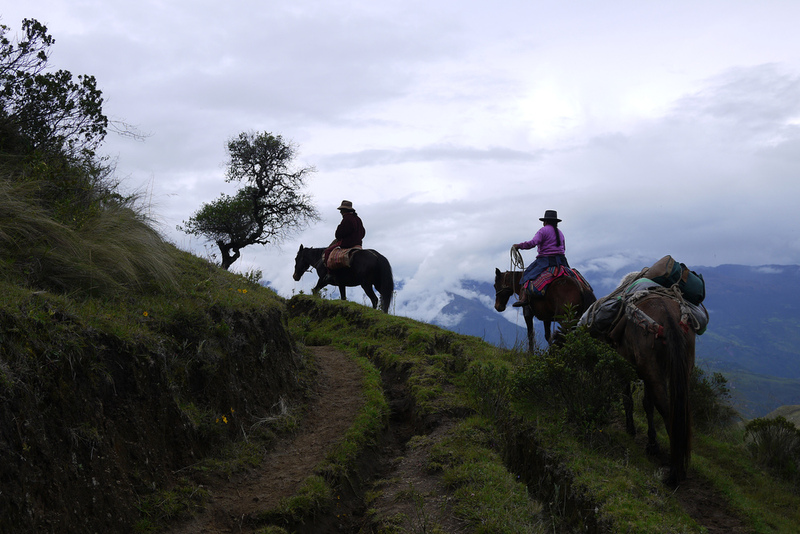 Seven hours hiking distance from Curahuasi, at 12,500 ft elevation and overlooking a pristine mountain lake, is a remote school that supports five villages. 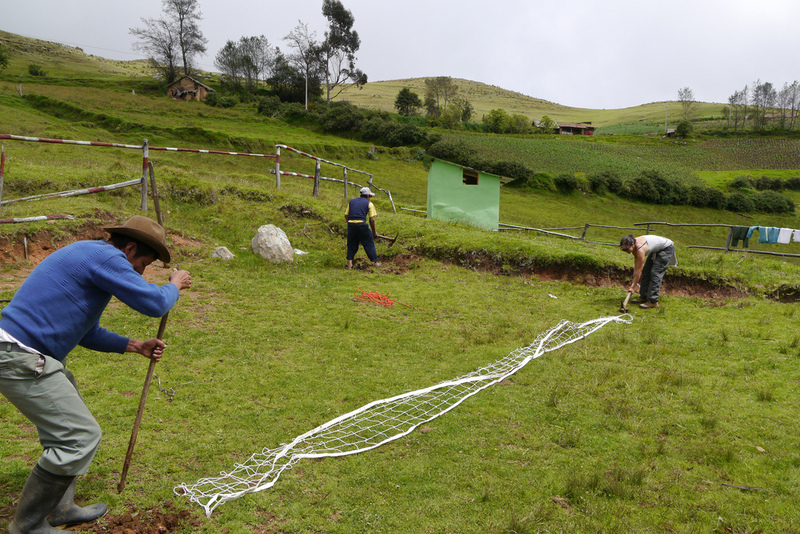 The school resides in the village of Ccocha (pronounced Ho-Cha), and has four dedicated classrooms, four teachers, and 53 students. Unfortunately, due to lack of funds, the four teachers are required to educate all seven grade levels, with very limited resources. 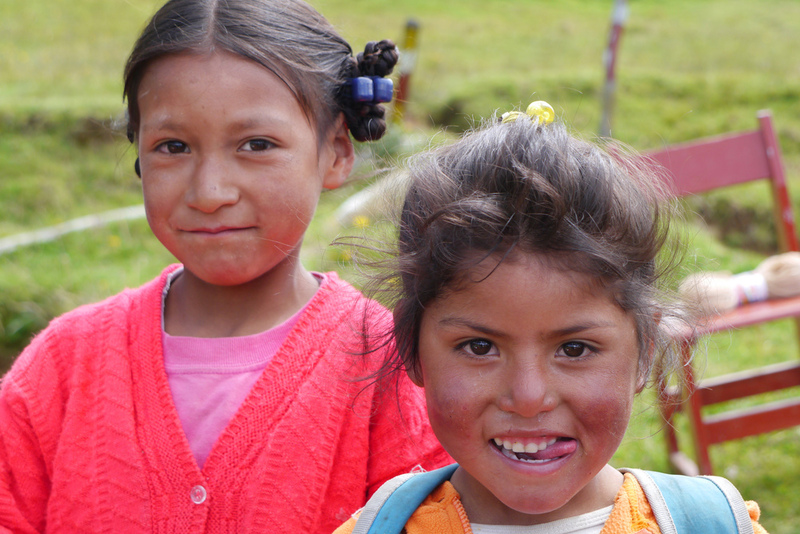 The school has yet to receive electricity, and the students walk to school each day from 30 minutes to an incredible 3 hours each way, just to get a basic education. Mission McNeill’s goal for this project was to improve the school in various ways. We installed lighting in each room, which will be connected to a main grid the government is installing in a few months. 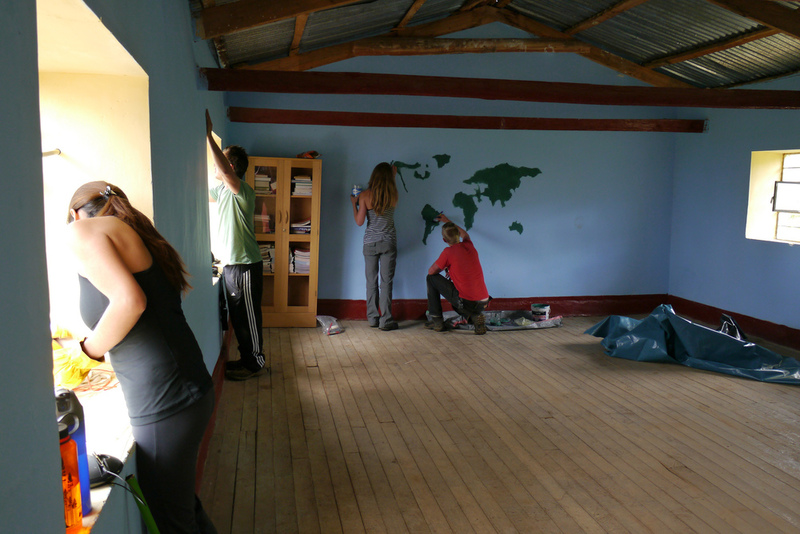 We cleaned and organized the classrooms; introduced a small library; hung the only mirrors in the village, and presented new teaching aids like personal size dry erase boards, abacuses, world maps, and educational posters. 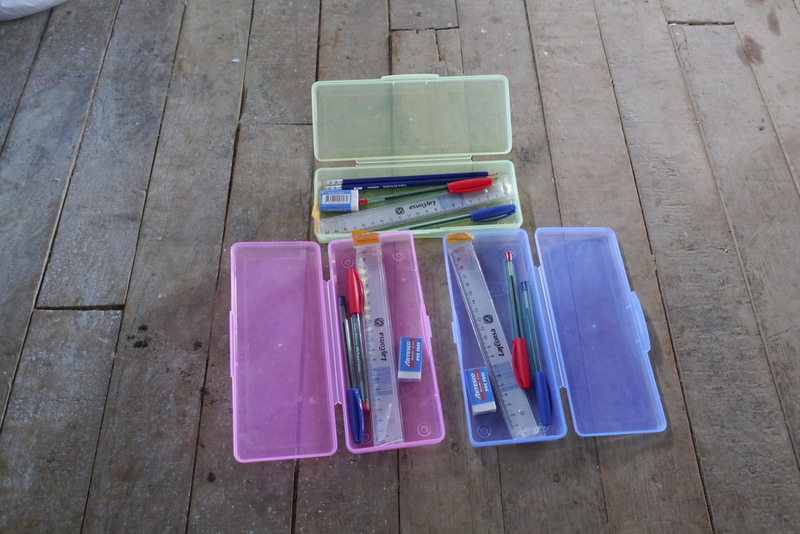 Each child was given a gift pack with a school bag, notebooks, pens, and rulers. 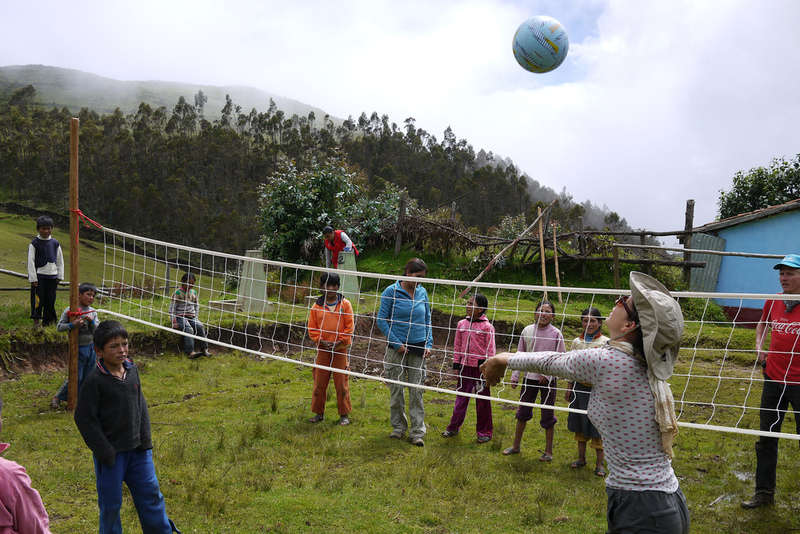 We also built a volleyball court with net and gave the students a set of new soccer and volley balls. 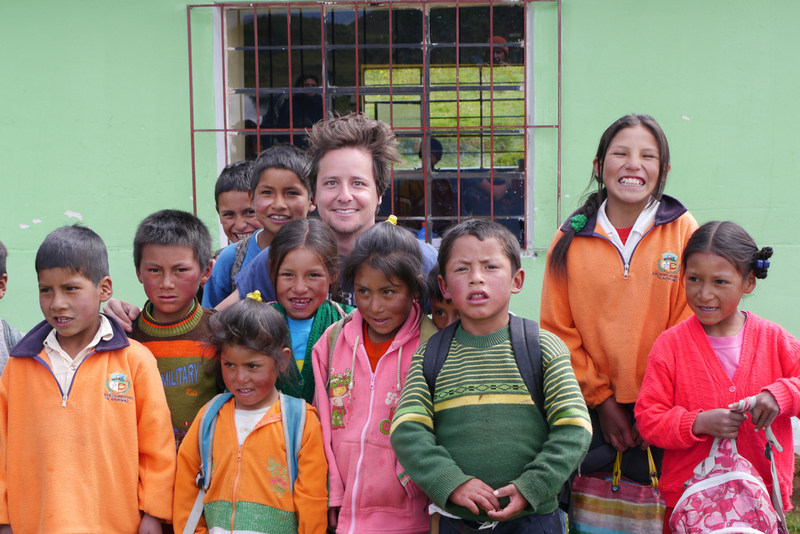 After four days and $850, we were able to significantly improve the educational opportunities for all the 53 students there. The teachers now have more advanced teaching tools and the students have a much improved learning environment.